In the late 90s and early 2000s LAN gaming parties were all the rage. Many a Saturday night I loaded up my PC and drove to a friend's house for a night of drinking beer, eating pizza, and playing Starcraft. Starcraft looked great and played smooth. It installed on almost any PC. You didn't need a high-end gaming machine in order to enjoy the game. Anyone could install it, play it, and have fun. StarCraft: Insurrection was released 4 months after Starcraft. Blood War was released a 4 months after Insurrection. The game was continually patched and updated. Blizzard kept giving us what we wanted, more Startcraft. When you bought Starcraft the CD allowed you to legally install the game on up to 8 PCs. This was in line with the maximum number of players in a Starcraft game - 8. What this meant was, at a LAN party all your friends could install the game and play it for FREE. Spawning also worked in online games via Battle.net. This sounds too good to be true, doesn't it? The only restriction was spawned copies could only play in games where the original owner was present. That was the hook and it was a smart decision by Blizzard. This was a great way for Starcraft to grow its player base. Players would try out the game with their friends for free and then go and buy the game. Despite being a US game that played out in English, Starcraft had wide-ranging international appeal. South Korea in particular fell in love with the game. Brood War tournaments became so popular that they were televised on local television. This was a launching pad for modern-day eSports. Starcraft and Brood War were international hits. Collectively they sold over 10 million copies worldwide. A sequel was anticipated and demanded by the players. Sadly, players would have to wait more than 11 years. Starcraft 2 was announced on May 19, 2007 in South Korea as a three-part trilogy. Wings of Liberty, the first part of the trilogy, was released on July 27, 2010. The game sold well; 1.5 million copies in the first 2 days and 3 million copies in the first month. The game was visually beautiful. However, unlike the original Starcraft, how beautiful the game played was more directly correlated to the power of the machine you were playing on. You needed a high-end gaming machine in order to enjoy the high-end graphics Starcraft 2 offered. The game also became more complicated. The basics were all the same, but there were more units, more shortcuts, and more keystrokes required to play the game at higher levels. Key features that the players loved (and that made the original game so popular) were gone. You couldn't install spawned copies. LAN gaming was not possible. To play multiplayer games you had to connect to Battle.Net and play across the internet - even if your opponent was sitting right next to you. There was another issue that was slowly evolving. A new game, League of Legends, was released on October 27, 2009. It had a tiny following but that following kept growing. It was an offshoot of another game, DoTA, which was in turn an offshoot of a Warcraft III game. There was a kind of natural symmetry between the Starcraft and League of Legends, even though the 2 games played in an entirely different manner. But all in all, Wings of Liberty was a hit. It was a very popular game and had a wide following. The next installment of the trilogy, Heart of the Swarm was released on March 12, 2013. The 3+ year gap in releases was immense compared to the 8 month gap between Starcraft and Brood War. By this time Wings of Liberty had grown stale and lost a large portion of its player base. Some players came back to play Heart of the Swarm. The game sold 1.1 million copies in its first 2 days. Blizzard has yet to release how many copies were sold to date, or even in the first 30 days. This implies sales have been lackluster at best. Players continued to voice numerous complaints about the game. Casual players disliked the intense focus on "micro play". To play Starcraft 2 well, you needed to "micro" all of your game units. This means individually controlling each of them. This is an incredibly difficult task for the casual player and there is a steep learning curve. Players kept wanting LAN play but Blizzard was stubbornly silent on the issue. To play multiplayer you had to connect to Battle.Net. Many suspected the reason behind this was Blizzard wanted to control all tournaments. Without LAN play private tournaments couldn't exist. Players continued to dislike the lack of spawned copies that was present in Starcraft. Blizzard finally responded to this and brought back spawning on June 4, 2013. However, this was too little too late for most players as they had already left the game. Meanwhile, that little game League of Legends continued to attract players. Despite the Warcraft/Starcraft similarities, there were stark contrasting differences that the players embraced. For starters, the game was free. Absolutely no money was required to play the game. More importantly, spending money on the game didn't give you a competitive edge either. League of Legends didn't need spawns. Everything was free and your friends could jump into the game very easily. League of Legends was simpler. Instead of having to micro hundreds of units you had to micro just one. League of Legends was more diverse. Starcraft has 3 races that you can play. League of Legends has more than a hundred playable champions and new champions are added regularly. As of January 2014, over 67 million people were playing League of Legends every month, 27 million were playing per day, and over 7.5 million were playing concurrently during peak hours. The game developed a huge international presence. Game servers started popping up around the world. The game was ported to different languages. In-game the sound effects were not just in English. Big tournaments were held and sponsored by Riot, the creator of League. More and more players left Starcraft 2. 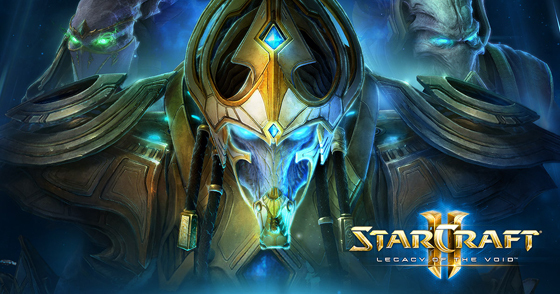 On November 15, 2015 Blizzard released the final installment of the Starcraft 2 trilogy, Legacy of the Void. Blizzard reported that at launch the game sold over 1 million copies. They have yet to release any additional sales figures. However, it's suspected that game sales fell off sharply. In May 2016 Blizzard offered Legacy of the Void for 25% off. Where does Starcraft 2 fall? It's number 17. Worse, Starcraft 2 has on average less than 5% of the viewers that League of Legends has. The real, most devastating blow to Starcraft 2, was Blizzard's inability to adjust to the current gaming market. The top-games are free-to-play games, which are an entirely different business model than what Starcraft 2 uses. Why shell out $40 - $80 for a game (price varies based on the Starcraft 2 edition purchased) when there are free alternatives that all your friends are playing? Blizzard realized this but they didn't adapt the Starcraft 2 series. Blizard does have free-to-play games available. Hearthstone is free-to-play and incredibly popular (number 3 on our Twitch list). In trying to directly compete with League of Legends Blizzard released the free-to-play title Heroes of the Storm. However, the game has had a hard time attracting players away from League of Legends. It is currently tracking around number 26 on our Twitch list. Where does Starcraft go from here? Sadly there are no future plans for a Starcraft 3 or any other Starcraft expansions. Blizzard hasn't entirely ruled out a Starcraft 3, but there are no current plans for a new title. Blizzard needs to go back to the drawing board if they decide to go forward on a new title. We all want a game that has the original glory of Starcraft. Will Blizzard deliver? Web Design and Hosting by Mega Web World. © 2016 Dark Line Games all rights reserved.